Kano (Nigeria) (AFP) - Deadly clashes erupted between the military and Shiite Muslims in Zaria, northern Nigeria, which also left the group's headquarters and the home of its leader destroyed, witnesses said Sunday. 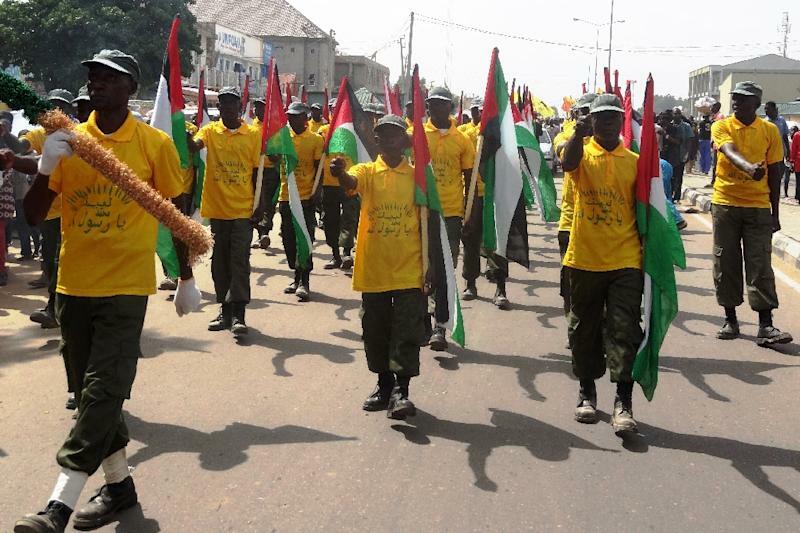 Armed soldiers carried out crackdowns on the pro-Iranian Islamic Movement of Nigeria (IMN) following an incident on Saturday involving the convoy of the chief of army staff. The IMN, which seeks to establish an Islamic state through an Iranian-styled revolution, has been at loggerheads with Nigeria's secular authorities, leading to occasionally violent confrontations. The group's leader, Ibrahim Zakzaky, has periodically been incarcerated for alleged incitement and subversion. Northern Nigeria is majority Muslim and largely Sunni. IMN spokesman Ibrahim Musa claimed dozens of the group's members were killed when soldiers opened fire and "hundreds more were injured and arrested" when Zakzaky's home and the sect's mosque were attacked. Zakzaky's deputy and the group's head of security were among the dead but the whereabouts of Zakzaky and his family was unknown, he added. There was no independent confirmation of the death toll, although army spokesman Colonel Sani Usman said Sunday evening there was "loss of lives", without specifying numbers. Local residents said soldiers backed by tanks invaded the Gyallesu area of Zaria and fought running battles through the night with hundreds of IMN members trying to block troops from reaching Zakzaky's home. Hundreds of sect members had mobilised from different parts of the north in response to an appeal on social media from the IMN leader for protection. "Throughout the night gunfire rang all over the neighbourhood as soldiers kept opening fire on hundreds of Shia followers who kept trooping to the house of their leader to guard it," said local Balarabe Gwargwaje. "The house has since been demolished," he added. On Saturday, Shiite faithful blocked the main road outside their Husseiniyya religious centre, where hundreds had gathered for a ceremony. The crowds obstructed traffic, including the convoy of Nigeria army chief Tukur Yusuf Buratai, witnesses and the military said. The military claimed the Shiites attacked Buratai, which left soldiers no option but to retaliate. The army said IMN members, who set barricades and bonfires on the road, were armed with "dangerous weapons" in a "deliberate attempt to assassinate the chief of army staff and members of his entourage". "The troops responsible for the safety and security of the Chief of Army Staff on hearing explosion and firing were left with no choice than to defend him and the convoy at all cost as well as open up the barricaded road for law abiding citizens," it added. Buratai was on an official visit to the city, the statement issued late Saturday said. IMN spokesman Musa, however, said there was "no reason" for opening fire and the group was made up of "defenceless people out to perform a religious ceremony".